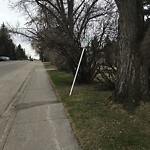 Sign was added in middle of pathway. Please remove. 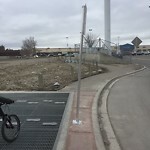 It's not always safe to bike on the metal grate, especially in winter. It's a warning sign for cars. Not sure why it's even there. Makes no sense.